Book the Limo Cycle for you next pedaling adventure. Our private rentals are great for groups of up to 15, and our public tours allow you to grab a single seat. 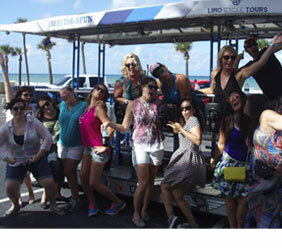 From pub tours, to scavenger hunts and from birthdays to bachelorette parties, the Limo Cycle offers something for everyone. Bring along your own beer, wine and food and our fun and friendly staff will guide you, entertain you and serve you throughout your tour. 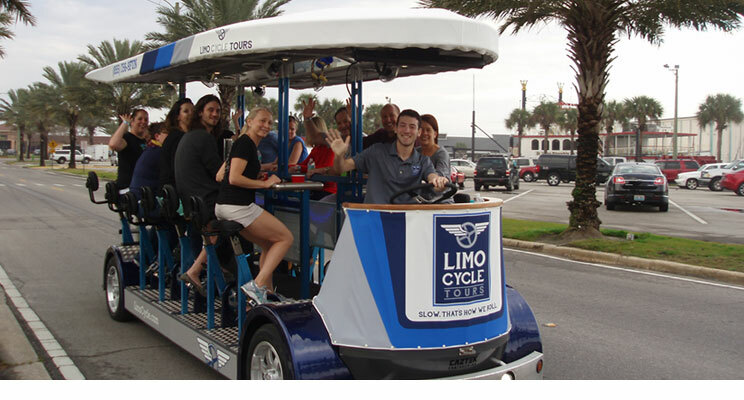 Limo Cycle has been named the Attraction of the Year in Seminole County, received the Trip Advisor Certificate of Excellence and regularly receives five-star reviews from our guests. Come see what all the fun is about.